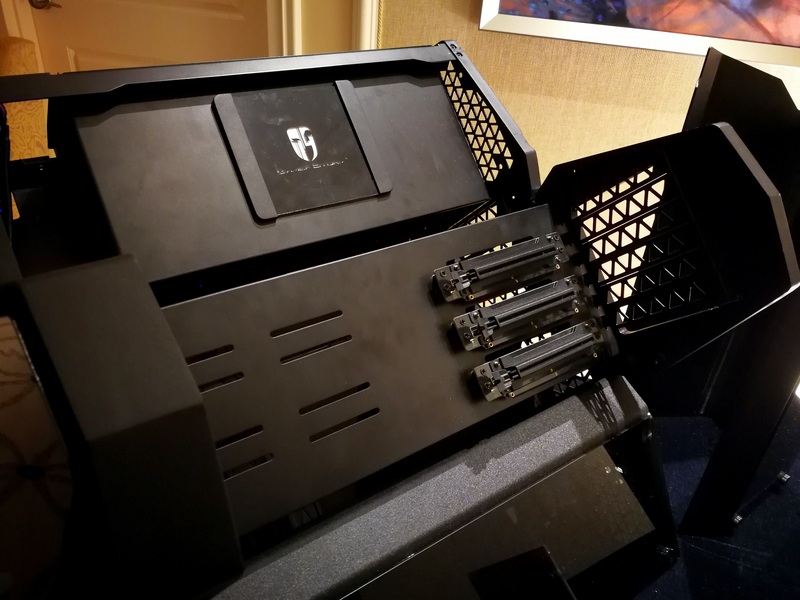 While we haven’t talked much about Deepcool over the years, every show I always ended up scheduling a meeting with them and they always seem receptive to ideas regarding their new chassis designs. 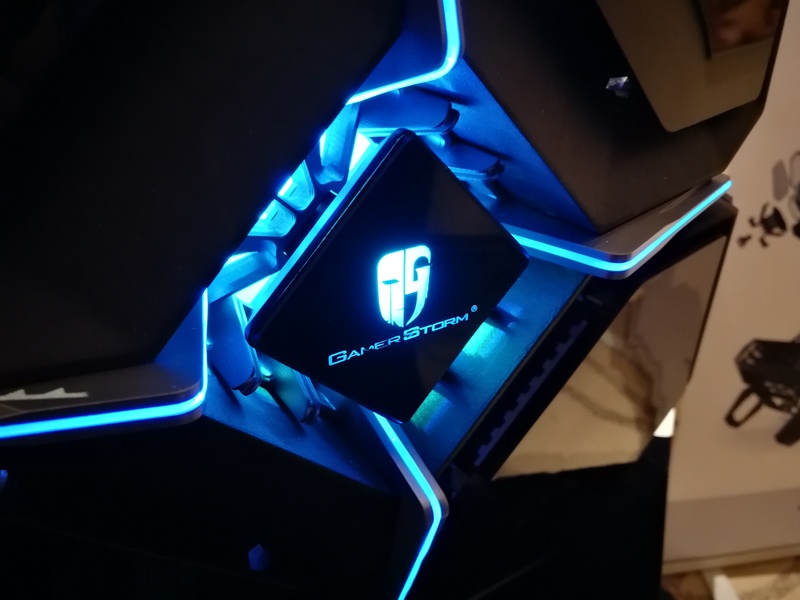 The top end products come through the GamerStorm brand, and currently feature the Genome featuring an integrated helix-based reservoir water cooler attached to the front of the chassis, and the Tristellar – a three-pronged mini-ITX chassis designed to wow anyone that sees it. 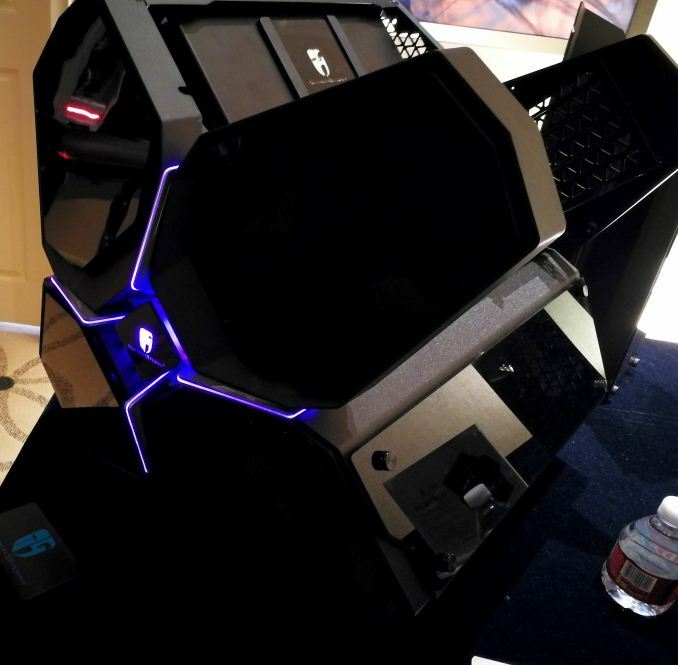 At CES this year, we were shown the next iteration of the Tristellar. 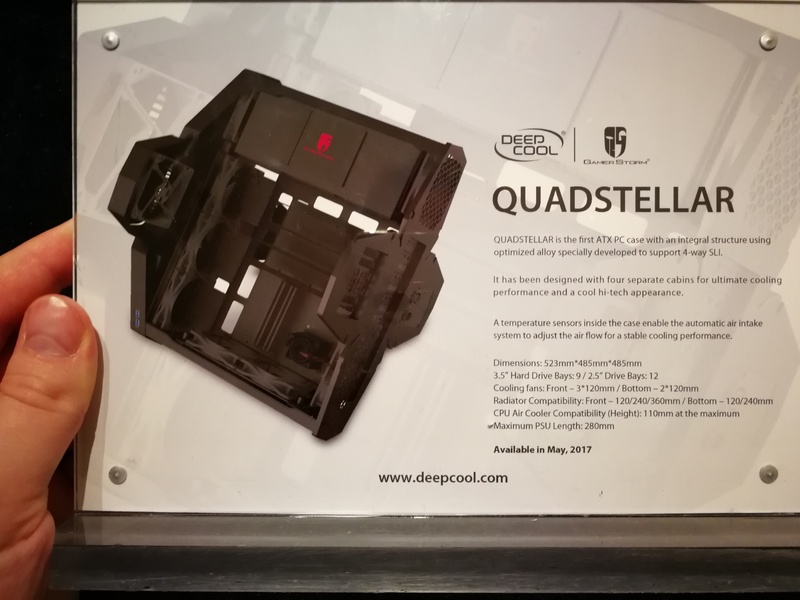 The Quadstellar is the bigger brother, supporting a full-sized extended ATX motherboard along with space for 12 storage drives, pretty much any size power supply you need (280mm), and houses a special segment for three graphics cards connected via PCIe 3.0 cables to the motherboard. There’s support for five 120mm cooling fans in the design, or up to a 3x120 liquid cooler and a 2x120 liquid cooler as well. The idea here is to support dual GPU systems, such as the ASUS dual LGA2011-3 motherboard, as well as tri-GPU configurations. There’s plenty of room to move for sure, and perhaps the GPU segment is one of the best bits. I postulated that this would make a good test bed for Ryan, making it easier to switch GPUs in and out of the system. Don’t get me wrong, this chassis is huge – 523 x 485 x 485 mm, and when the system is loaded the front facing fins are going to be designed to open up to allow more airflow. 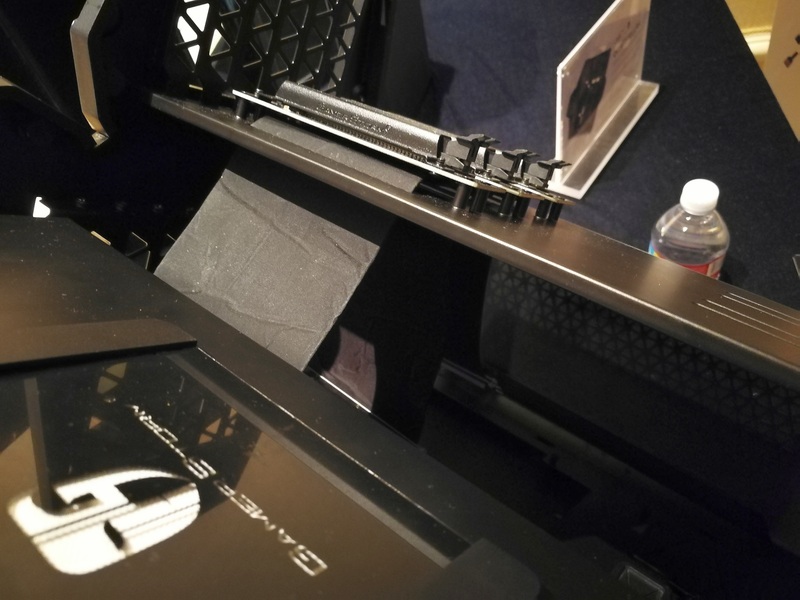 Currently this is only a prototype – Deepcool told me that the aim is to build a fully aluminium version of the chassis and for it to weigh under 10kg all for around $300. That would be quite impressive, and we discussed the feasibility of adding feet to the bottom of the case in case someone wanted to prop it up vertically. 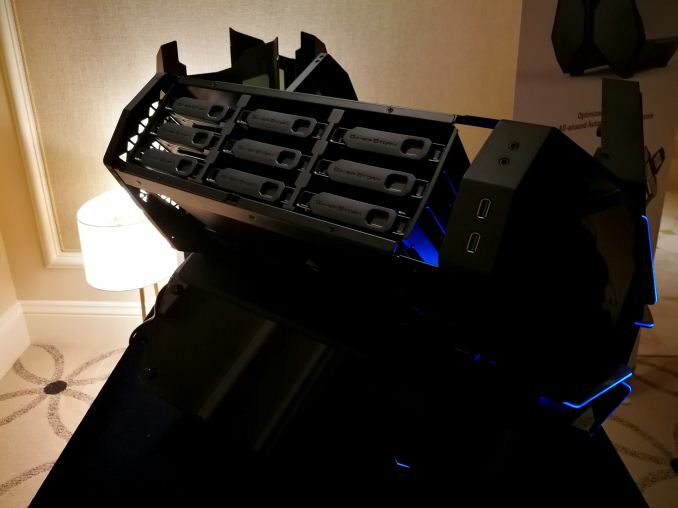 Despite the perhaps over-the-top look of the chassis, Deepcool is interested in any further suggestions for the design. The goal here is to have something near final at Computex, ready to ship in Q3.